"To make connections one needs not knowledge, certainty, or even ontology, but rather a trust that something may come out, though one is not completely sure what." At certain moments, the division between the secular and spiritual are questionably suspect. When this boundary becomes blurred, new spaces, ideas and alliances require attention. In possibly confronting the end of the world, where shrill voices declare that we are now embedded in an era similar to that expressed in Revelation (i.e., the Apocalypse), one may fnd themselves inquiring: how should one respond to such conditions? Temperatures rise, the 'frenado' as myth becomes a scientifc phenomenon well within reach, as wildfres (man-made and natural) rage onward to breed with the wind—threatening the unlucky with increased frequency. Tyrants bully and manipulate the unfortunate, shameful stories (true and fabricated) are unmasked and societal conditions are compressed and stretched by contradictory authorities. the contours of time. With associations to both an ever-expanding universe as well as the fnite acceptance that almost everything ends, Sparre offers entry points into philosophical and metaphysical topics often deemed abstract or too complex to approach from an erudite position. The artist's talent lies in her ability to balance epistemology and practice—fueling belief, offering tangible matter for the searching. When the world is too much, people may turn to dreams. The dream represents the illusory non-real and is in juxtaposition to the pressing traits of real life. Some prefer the responsibilities of reality; others serve the imagination—where no boundaries exist, limits are moot and rules do not apply. Everyone dreams, but only a fraction recollect. And if so, they usually only remember a hazy object, clipped scene or sentimental fragment. Dreams are considered doorways into hidden dimensions and insight; similarly, Sparre's creations serve as portal for personal growth. Within the dreamer's mind thrives an intimate sphere protected from harm—shielded from the public eye. Dreams are codes left to be deciphered, yet others (omit the dreamer) rarely invest in them. Oftentimes, others are annoyed by someone else's dreams, for they seem inaccessible or irrelevant. Sparre addresses such peculiarities; human beings are trapped in fesh, yet they aspire to transcend and lead an authentic path. Dreams and Art both possess the capacity to dominate everything; when one is entranced by one or both, there are few options for escape. Cultivating a more malleable and receptive mindset is, perhaps, one strategy for survival. Secret societies, cacophonous voices and anonymous documents gain precedence as the feminine mystique strengthens. The seen is merely the tip of some proverbial iceberg; the artist redirects energies towards the submerged and distant—the unseen and indecipherable. 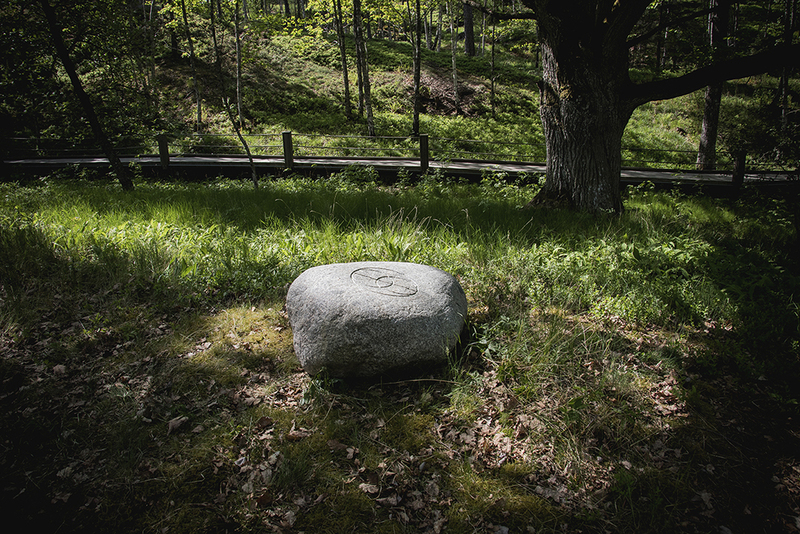 Sparre's The Leyline Project has infuenced her recent public space works present in Artipelag's Detour exhibition in Sweden; they are marked stones sequestered within the venue's surrounding forest which emit nocturnal fuorescence—each with its own accompanying sound. The artist threads visual and philosophical strands from the occult, witchcraft and alchemy to supplement her evolving craft—expressing quiet respect for the 'Other.' Each of Sparre's Detour contributions allude to a specifc 'place' and 'belief,' enforcing an alternate coordinate system related to the work itself. 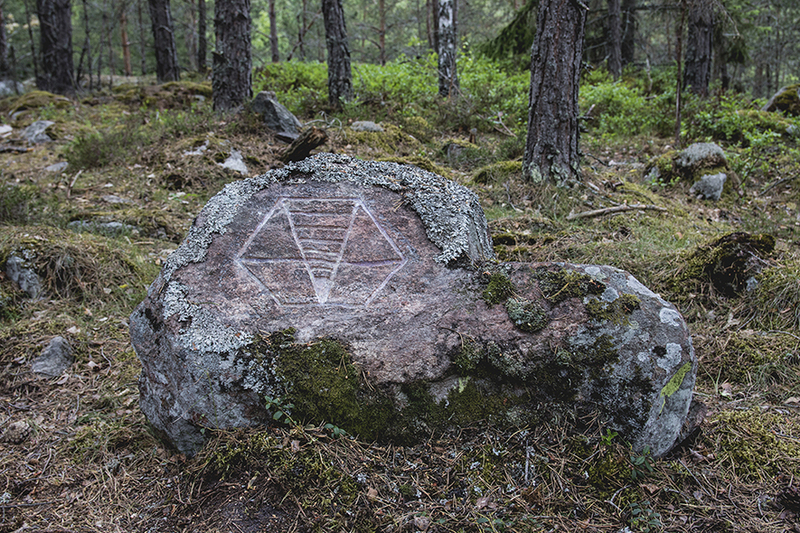 For instance, Sparre's "Hexagonal Window" (2018) serves as gateway to the cosmos and attempts communication with extraterrestrial life; this piece exists below a Juniper tree—a plant which beckons the universe. construction. 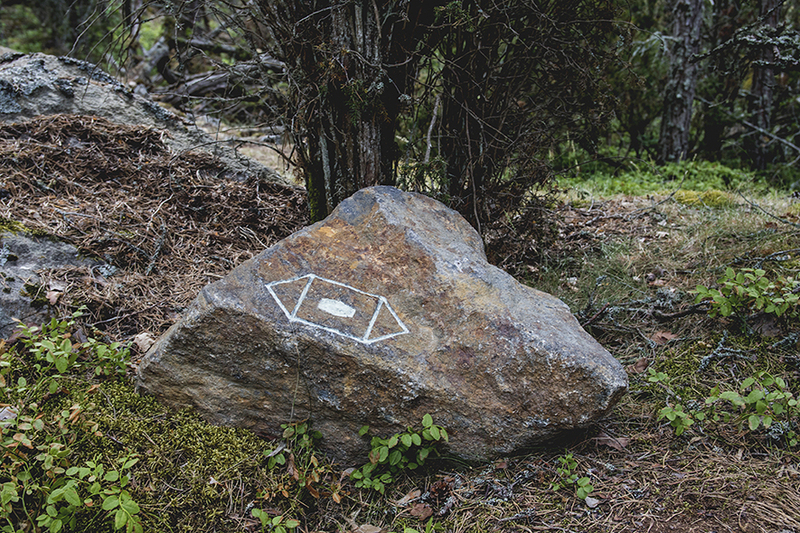 Yet, this clandestine labyrinth is not Sparre's work; rather, her own work was positioned next to this anonymously constructed labyrinth—together encompassing "Labyrinth / Leyline" (2018). Her accompanying sound for the labyrinth's rooftop location consists of a nearby leyline's assumed aural frequency as it crosses over Artipelag. 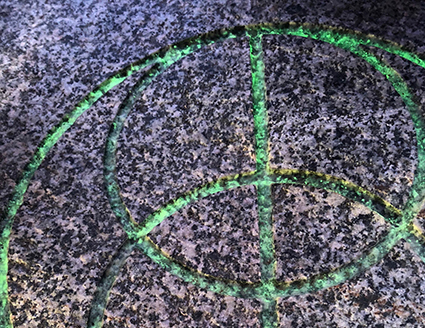 With this gesture to combine her leyline creation with the anonymously constructed labyrinth, she enforces that creativity cannot be controlled; it will not be reduced to dogmatic parameters or constrained by a singular source. 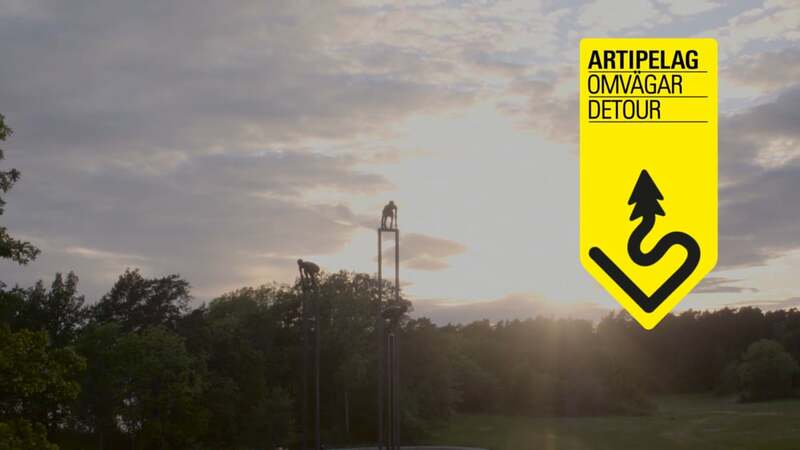 The artist proves to be an advocate of communal participation and experimental exchange. Much is left to be learned when one shifts from habitual premeditation and default to improvisation and surprise.